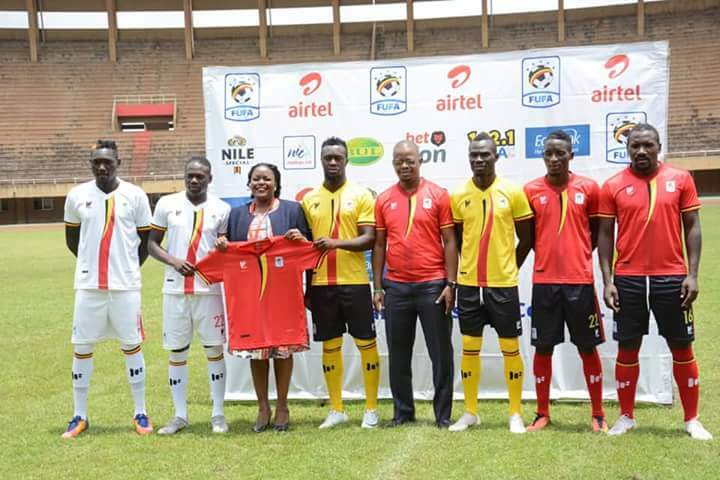 NAMBOOLE – FUFA and Uganda Cranes have officially launched a new team kit that will be used in games starting with the double header against Lesotho. This was confirmed at a press conference held at Mandela National stadium in Namboole on Wednesday afternoon. Speaking at the launch, FUFA President Eng. Moses Magogo termed the moment as a special one for the federation, Uganda Cranes and country as well. “This is another occasion that we come here to complete like we promised, said Magogo. “The manufacturer for the Uganda Cranes new kit is Mafro and we would like to thank them for a work well done. “I can also assure everyone that we are in very close talks with the kit sponsor. 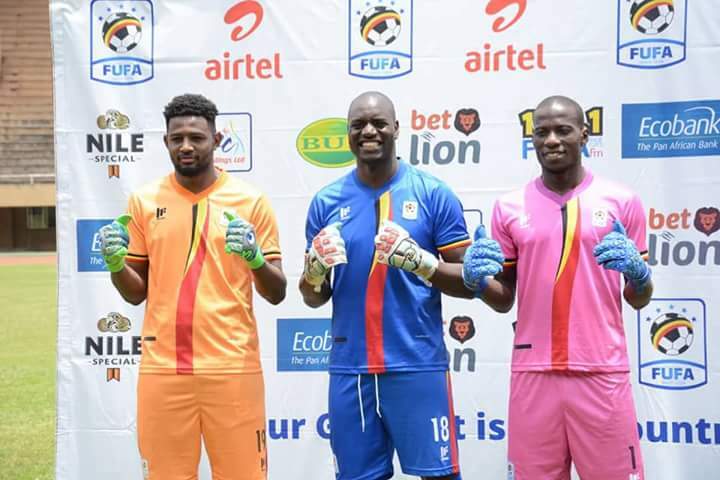 The new kit is in red, white and yellow in colour, with a V-neck design having the three national flag colours assembled down in an ivory format. 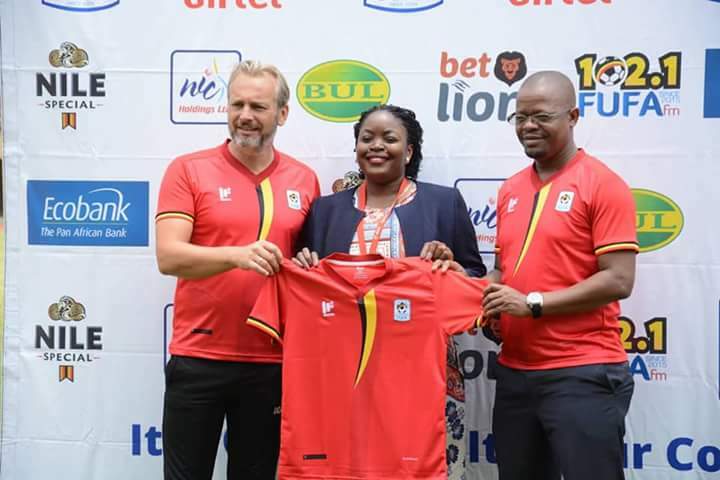 The kit was designed by Umar Mukasa, who emerged as the best in a competition set by the Federation of Uganda Football Associations (FUFA). He wins himself annual free access to all Uganda Cranes home games and cash reward of Shs 2.5M. The event was also graced by a representative from the official Uganda Cranes sponsor, Airtel Uganda Limited. “We have mixed feelings for the launch of a new jersey, said Kisakye. “Looking back at the start of the journey, Brand Airtel has very good memories of the jersey and the qualification success after 38 years. “The memories are very fresh but all good things come to an end. “We pray that the new kit comes with luck as we seek to qualify for the Africa Cup of Nations. FUFA First Vice president Justus Mugisha and the second VP Darius Mugoye, Executive Committee member Chris Kalibala are some of the other Federation officials were also in attendance.